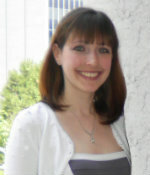 Dr. Kristen A. Hungerford is a visiting assistant professor in the Interdisciplinary and Communication Studies Department at Miami University in Hamilton, OH. She holds a MA in Communication Studies and a graduate certificate in Women’s Studies both from the University of Akron and a BA in Communication from Youngstown State University. Her research interests are centered within the fields of rhetoric and critical/cultural studies, often including analyses regarding the transgressive voices and bodies of marginalized persons/groups. Kristen has published essays in the Journal of Contemporary Rhetoric, Women’s Studies in Communication, and the Ohio Communication Journal. Several of Kristen’s essays have also received special recognitions as top papers at academic conferences, including the Samuel L. Becker award given by the division of Media Studies at a meeting of the Central States Communication Association. Kristen’s teaching experience largely mirrors her research interests and includes teaching courses in rhetoric, media studies, and communication theory.